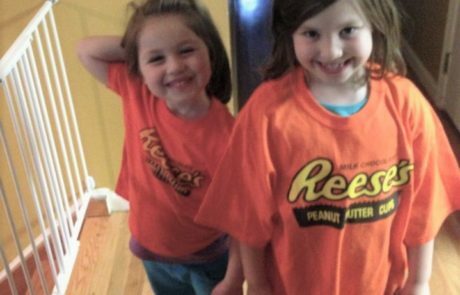 First, there were sightings of Peanut Butter Cup wrappings tacked to the walls of the Family Room. 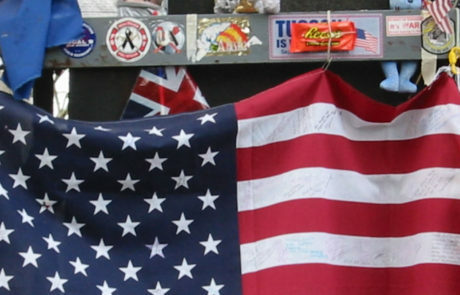 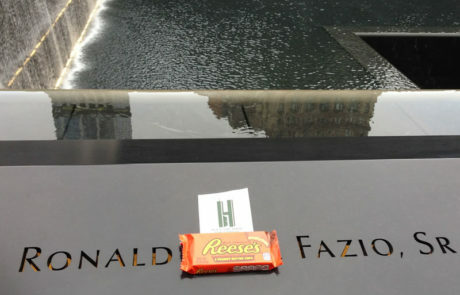 Then, those same distinctive Reese’s treats were spotted along the South Pool of the 9/11 Memorial. 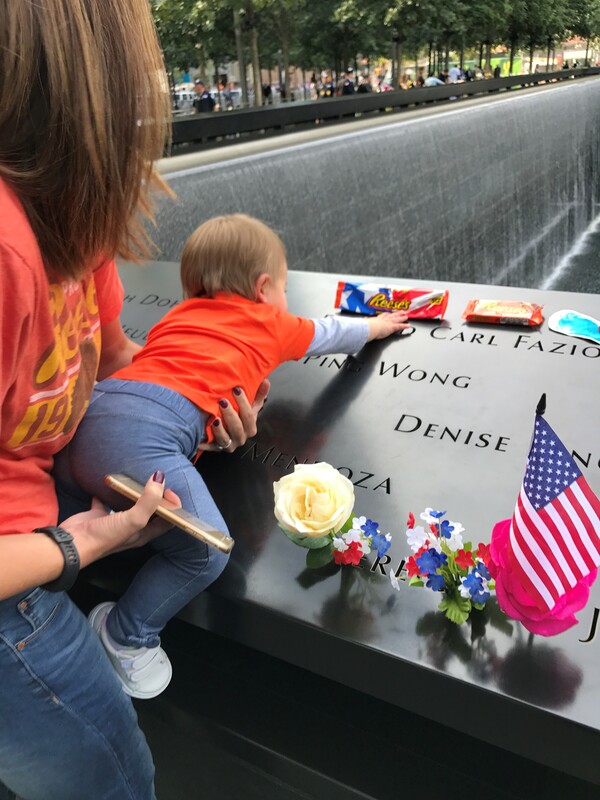 Unlike more recurrent offerings of fresh flowers, folded notes, miniature flags and small, weather-resistant tokens like coins, these candy tributes have added an element of intrigue. 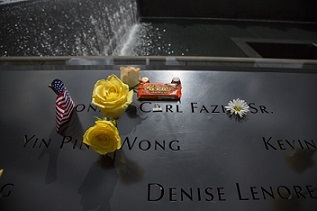 Clues to their meaning presumably resided in the names etched into the South Pool Panel S-60, where the chocolate snack materialized once again during the ceremony for the 15th anniversary of 9/11. 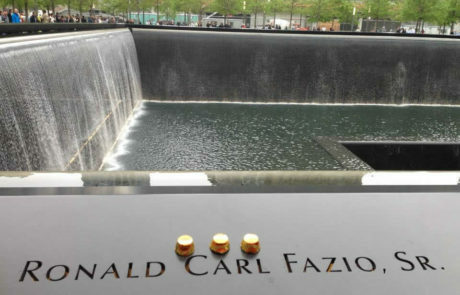 Sure enough, a group of family members was seen congregating here, each wearing a Reese’s Peanut Butter Cup T-shirt, each giving the name of victim Ronald C. Fazio, Sr. an affectionate touch. 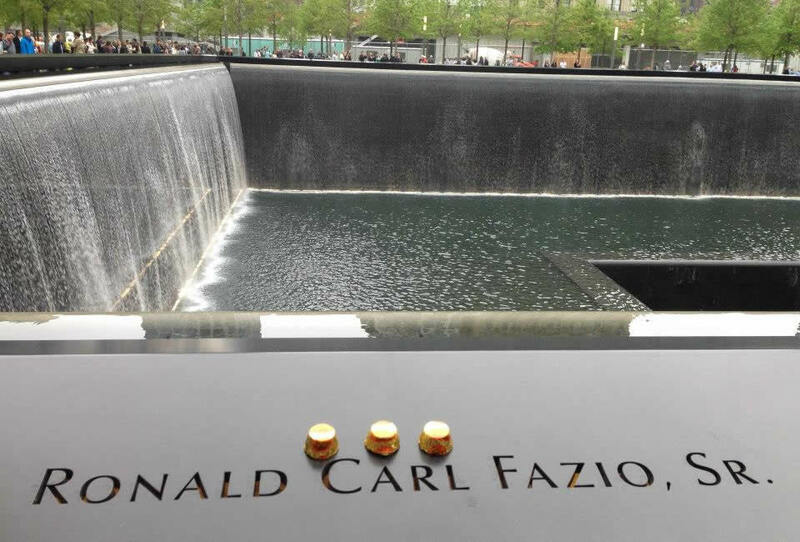 In the 9/11 Memorial Museum’s memorial exhibition, a short biography introduces Fazio as a 57-year-old Aon Corporation accountant whose office was on the 99th floor of the South Tower. 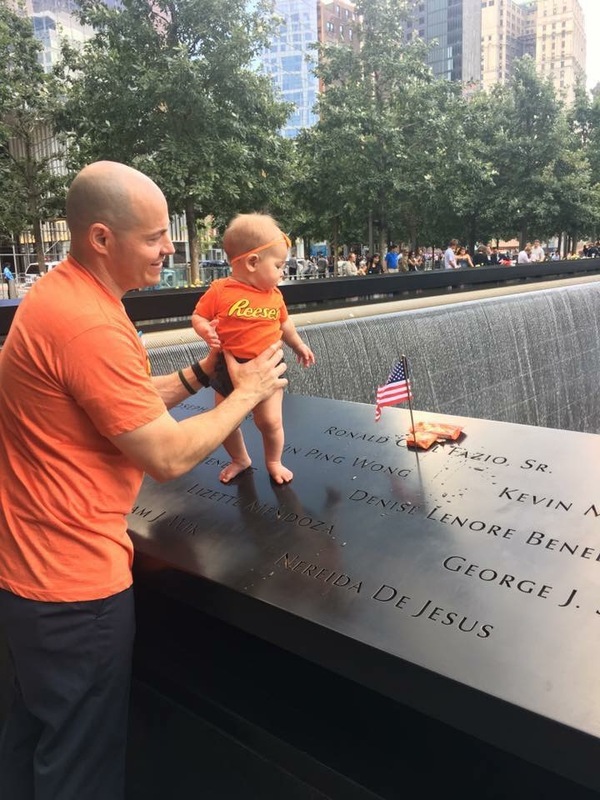 On that fateful Tuesday, he is credited with saving lives by urging his coworkers to evacuate when he saw the North Tower in flames. 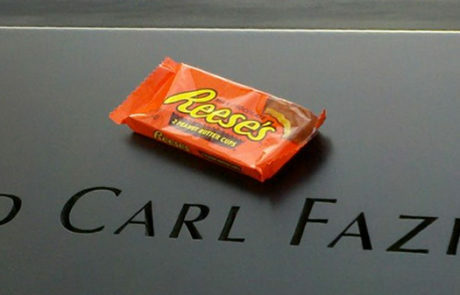 He hastened their exit by holding the door open for them, delaying his own descent. 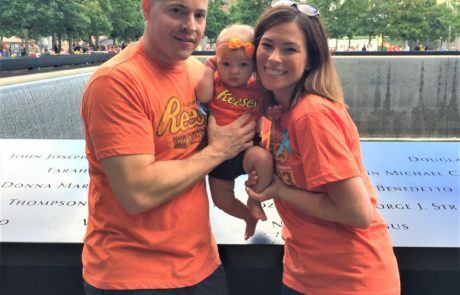 Fazio’s selfless legacy is perpetuated today in the Hold the Door For Others Foundation, founded by his family. 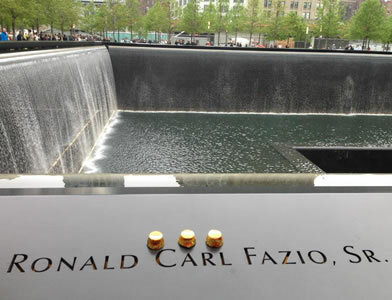 A big-hearted man, he is also remembered as the devoted father of three grown children and as an enthusiast of the New Jersey’s beaches. 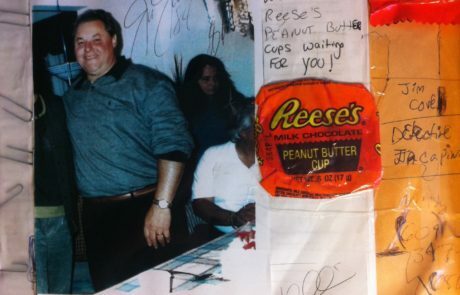 He loved to cook up the catch of the day from his exploits as a crabber. 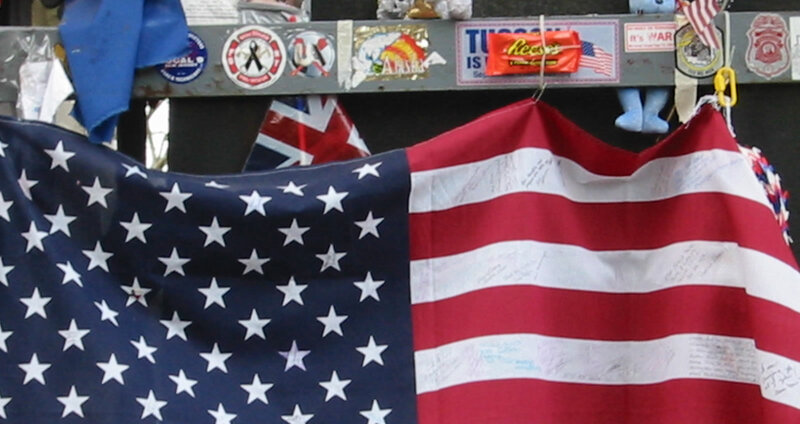 The Museum’s collection includes a handful of beach glass and a lucky crabbing line donated in his memory by his wife, Janet. 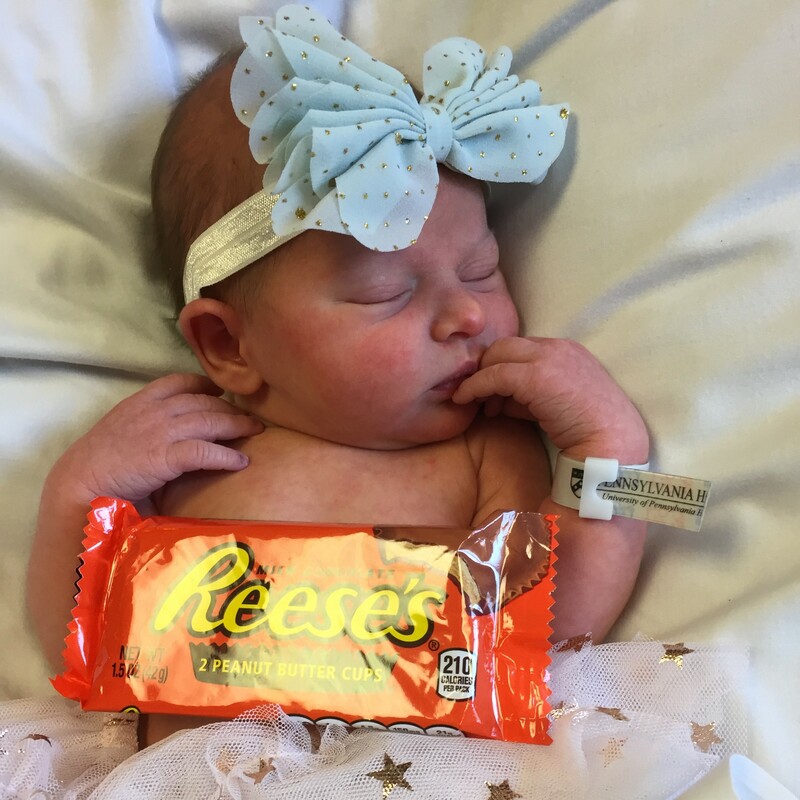 But an important continuity thread has been omitted from this portrait: Fazio’s penchant for Reese’s Peanut Butter Cups. 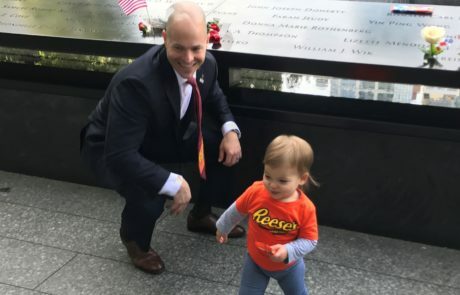 Apparently his taste for them was as defining as the physical characteristics of height, weight and scar locations reported on the missing person flyers his family rushed to distribute on 9/11. 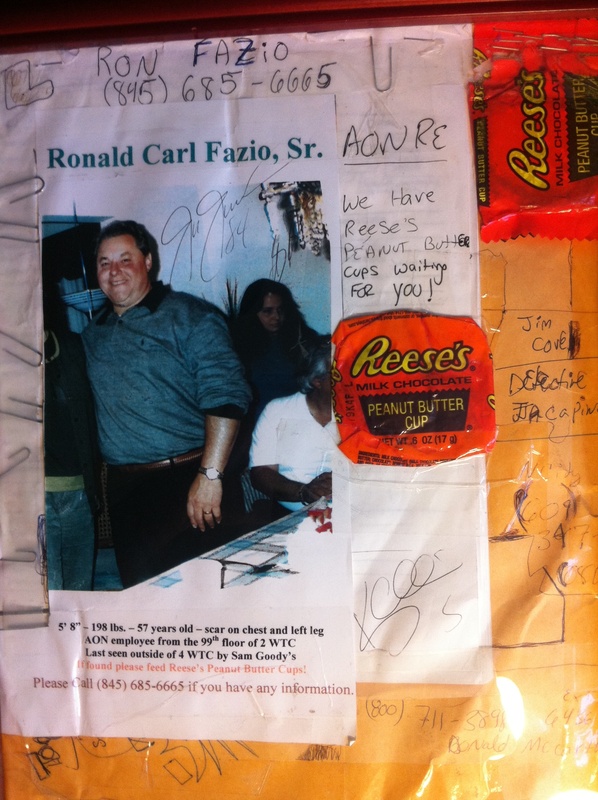 Indeed, Fazio’s adult children felt compelled to ornament some with stapled cut-outs from the candy packages and include this appeal on them: “If found, please feed Reese’s Peanut Butter Cups.” The addition interjected a twinkle of levity to the urgent, ultimately elusive mission of the posters. 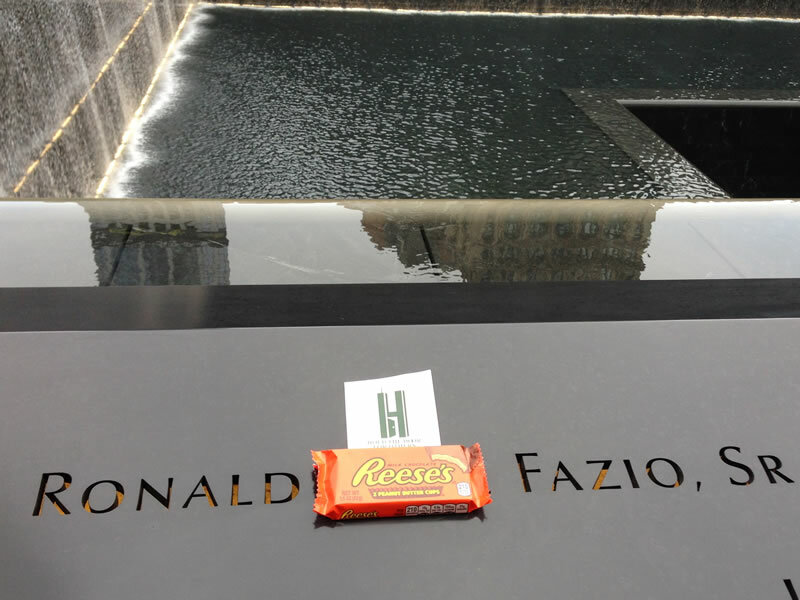 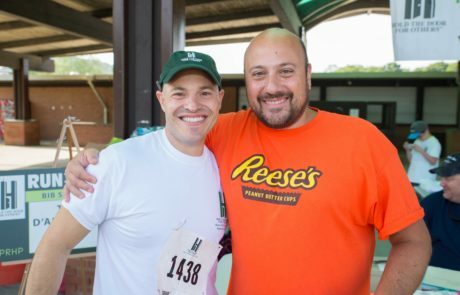 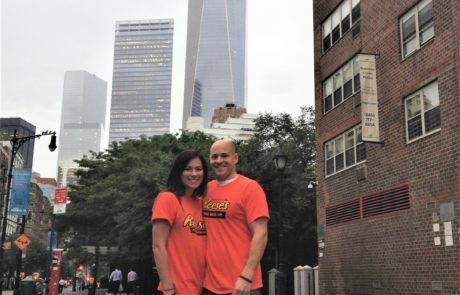 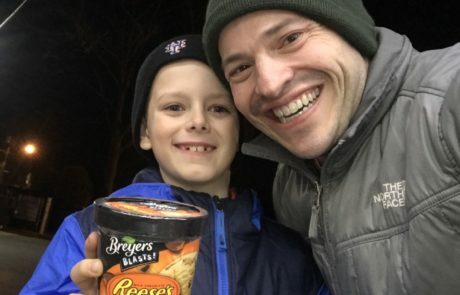 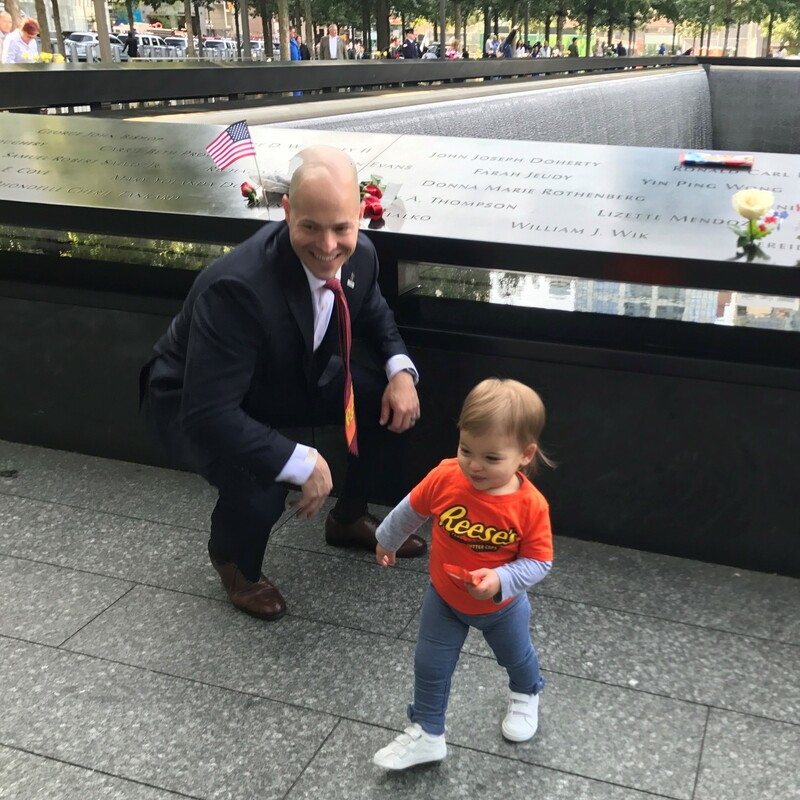 A year after 9/11, Fazio’s family buried a coffin near their New Jersey home empty of his remains, but filled with sweet keepsakes, including some Reese’s cups. 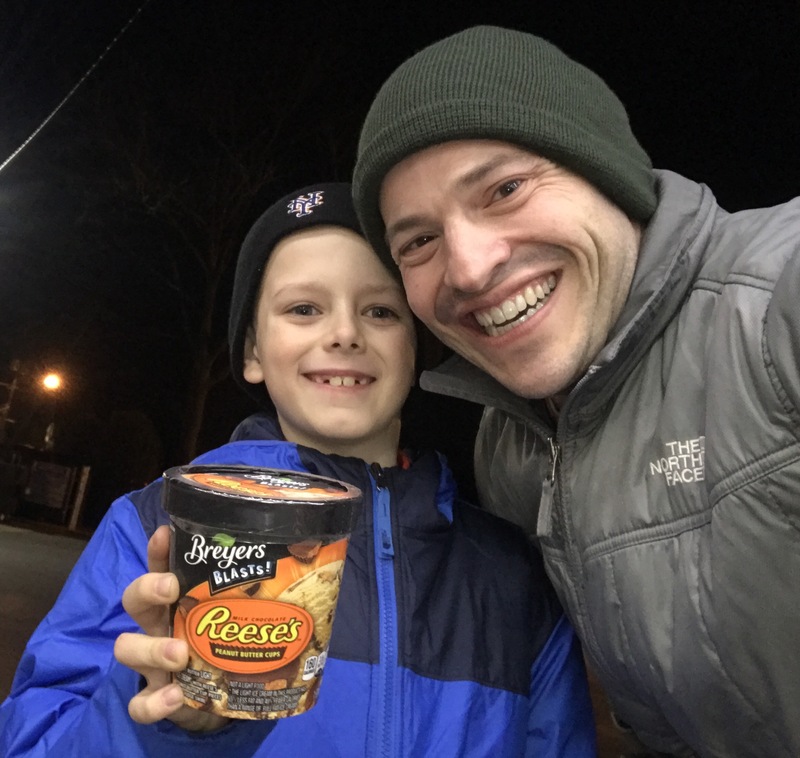 In conversing with Fazio’s son Rob last month at Panel S-60, we learned that Ronald Fazio’s sweet tooth lives on. 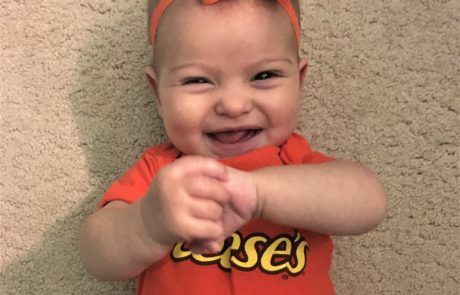 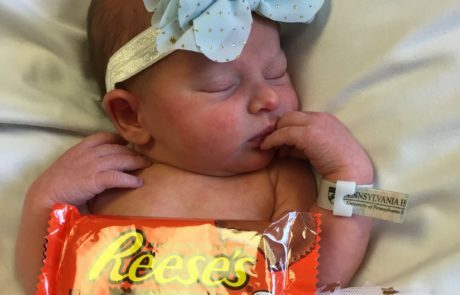 His baby granddaughter, born years after his death, is named Reese Fazio. 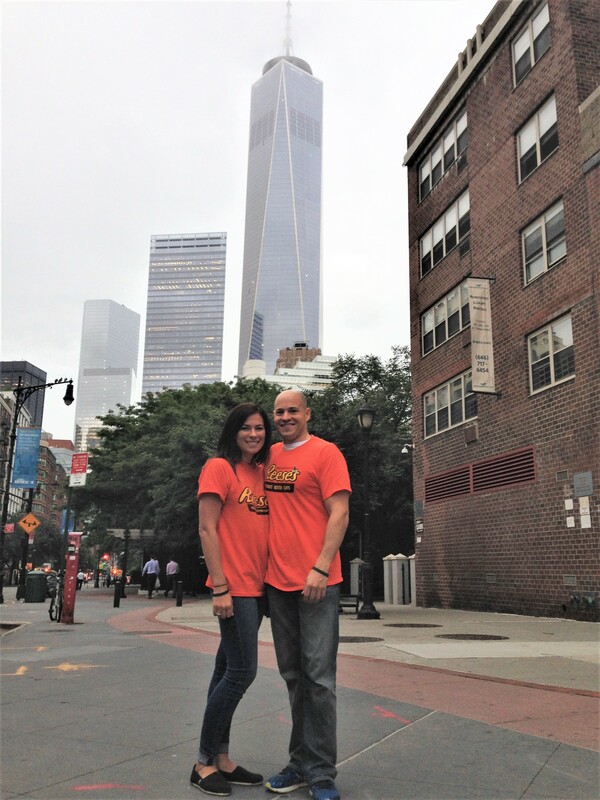 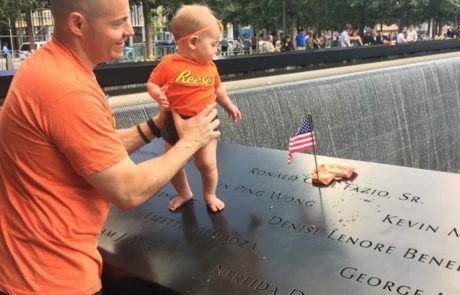 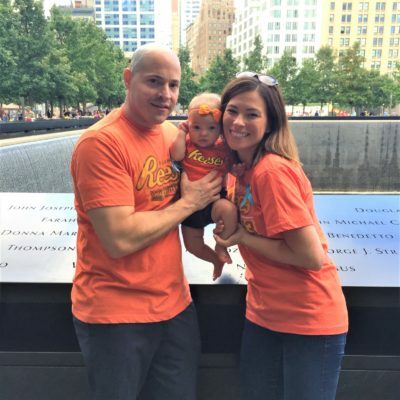 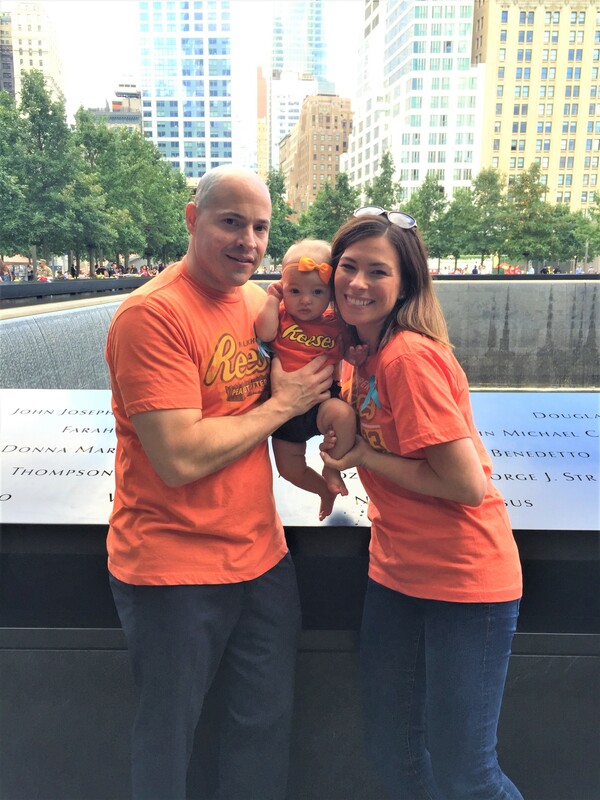 She was wearing a tiny branded T-shirt matching those of her parents on Sept. 11, 2016. 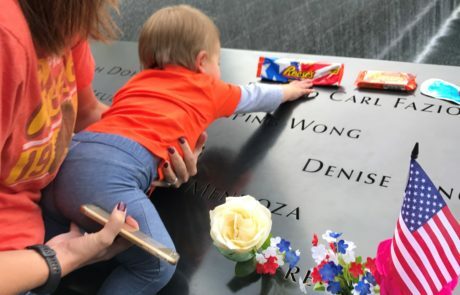 Story can be found on the 911 Memorial site here. 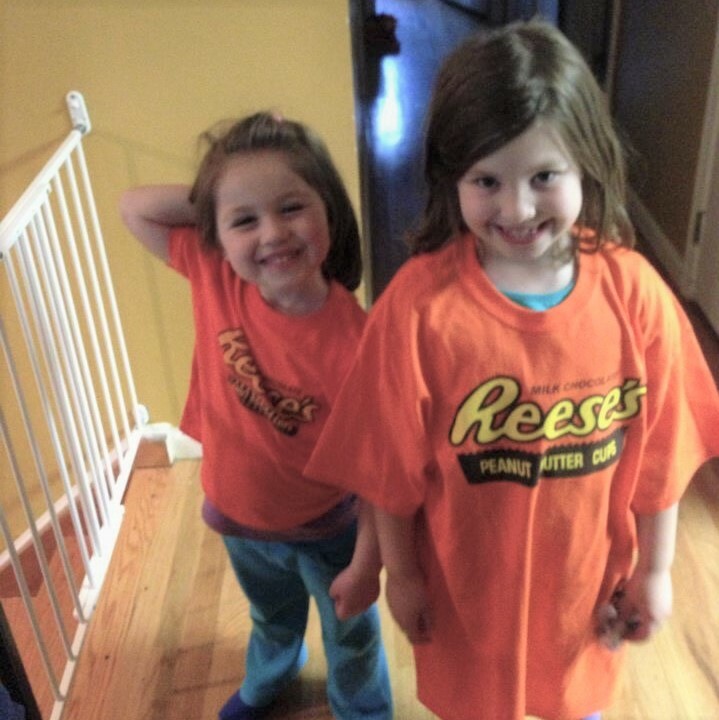 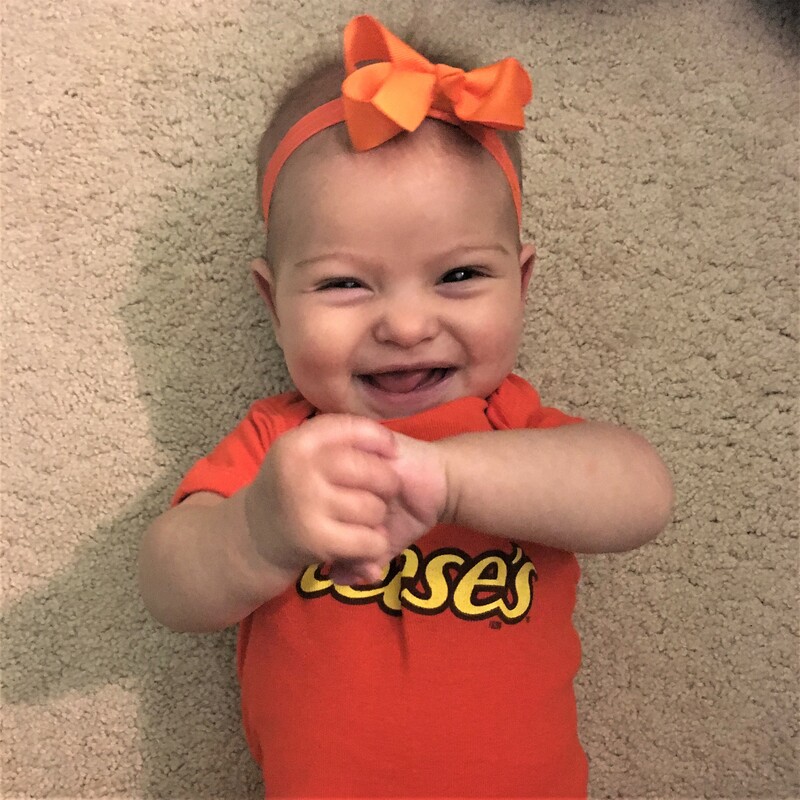 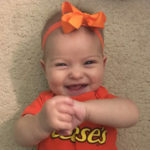 Watch Neil Cavuto and Rob Fazio talk about the history of Reese’s.